Those of us who lived a substantial portion of our lives before the turn of the century used to think of our current time period as the far, far distant future. Because we grew up on films like Blade Runner (which is set in 2019), we tend to be a little unimpressed with how un-future-y the future has turned out to be—from an aesthetic perspective, at least. Well, while the perpetually promised flying car may never actually arrive, these less flashy but equally impressive recent breakthroughs in medical technology could all go a long way toward enhancing the quality of life as we move into an even more distant yet further off future. 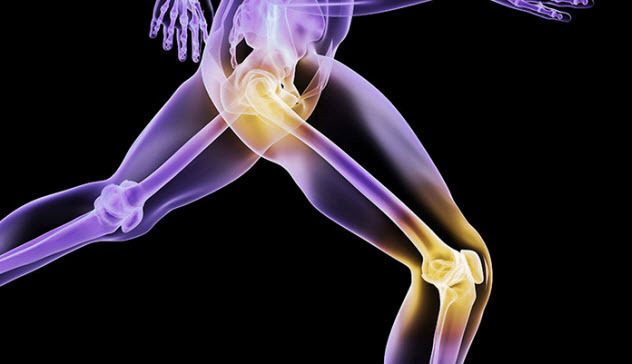 While joint and bone replacement technology has come a long way in recent decades, with plastic and ceramic-based devices beginning to take prevalence over metal ones, the newest generation of artificial bones and joints will take the entire concept one step further—by being designed to essentially fuse organically with the body. This is made possible, of course, by 3-D printing (which will be somewhat of a recurring theme here). In the UK, surgeons at Southampton General Hospital have pioneered a technique in which an elderly patient’s 3-D–printed titanium hip implant is held in place by a “glue” made from the patient’s own stems cells. 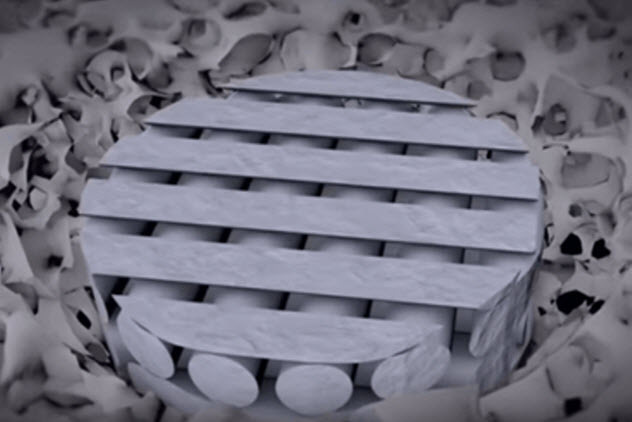 Impressive as that is, University of Toronto professor Bob Pilliar has one-upped it significantly with next-generation implants that actually mimic human bone. Using a process that binds his bone substitute compound (using ultraviolet light) into incredibly complex structures with pinpoint precision, Pilliar and his team create a tiny network of nutrient-bearing ducts and canals within the implants themselves. Since the first implanted pacemaker in 1958, the technology has, of course, improved considerably. However, after some huge leaps in the 1970s, pacemaker technology largely leveled off in the mid-80s. Astonishingly, Medtronic—the company that produced that first battery-powered pacemaker—is coming to market with a device that will revolutionize pacemakers in much the same way that its earlier device improved upon wearable ones. It’s the size of a vitamin pill and, in fact, requires no surgery at all. This newest model is delivered via catheter in the groin(! ), attaching to the heart with tiny prongs and delivering the needed regular electrical impulses. 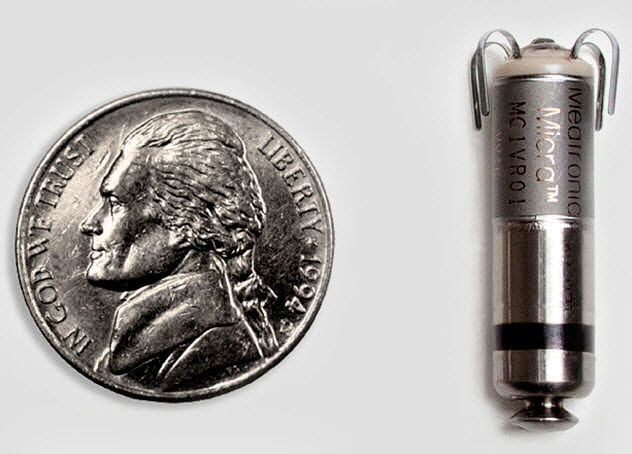 While ordinary pacemaker surgery is rather intrusive, creating a “pocket” for the device to sit next to the heart, the tiny version makes for a far easier procedure and, astonishingly, improves on the complication rate of the original by over 50 percent, with 96 percent of patients reporting no major complications. While Medtronic may very well be first to market (having already garnered FDA approval), other major pacemaker manufacturers have competing devices in development, wary of being left behind in what is currently a $3.6 billion annual market. 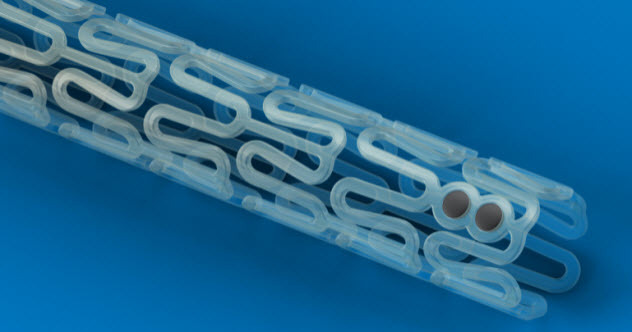 Medtronic began development of its tiny lifesaver in 2009. Ubiquitous search engine provider and world dominator Google seems eerily intent on integrating technology into every aspect of life, but one must admit that they have some intriguing ideas to go along with their clunkers. Google’s latest number, though, has as many potentially life-changing applications as it does abjectly terrifying ones. 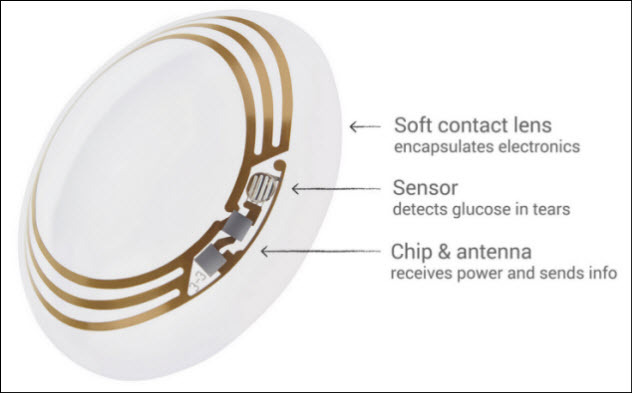 The project that is known as Google Contact Lens is exactly what it sounds like: an implantable lens, one that replaces the eye’s natural lens (which is destroyed in the process) and can adjust to correct poor vision. 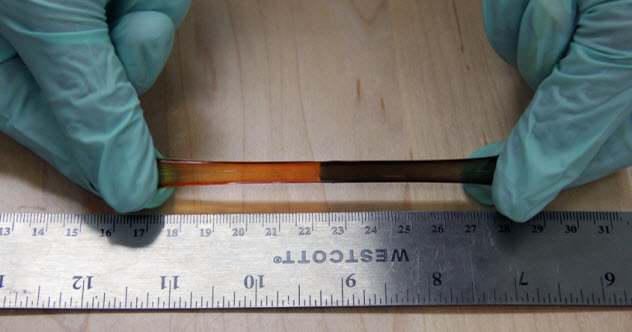 It’s bonded to the eye with the same material used to make soft contact lenses and has a variety of potential medical applications—such as reading the blood pressure of glaucoma patients, recording the glucose levels of those with diabetes, or wirelessly updating to account for deteriorations in a patient’s vision. It could potentially even restore lost vision completely. Of course, with this prototype tech being a short lob away from an actual camera implanted in your eye, speculation has run rampant about the possibility for abuse. At this time, there is no telling when this might be on the market. But a patent has been filed, and clinical trials have confirmed the procedure’s viability. While advances in artificial skin graft technology have made steady progress in recent decades, two new breakthroughs from quite different angles may open up new areas of research. 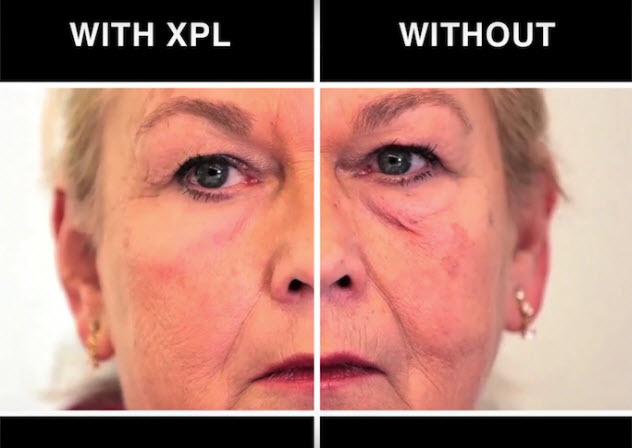 At the Massachusetts Institute of Technology, scientist Robert Langer has developed a “second skin” which he calls XPL (“cross-linked polymer layer”). The incredibly thin material mimics the appearance of taut, youthful skin—an effect that occurs nearly instantly on application yet thus far loses its effect after about a day. Interestingly, some self-healing materials have already made their way to the marketplace, such as a self-repairing coating on LG’s Flex phone, which Wang cites as an example of several types of applications that he sees for this tech in the future. Having said that, this man is clearly trying to create superheroes. Ian Burkhart, 24, suffered a freak accident at age 19 that left him paralyzed from the chest down. For the last two years, he has been working with doctors to tweak and tune the device implanted in his brain—a microchip that reads electrical impulses in the brain and translates them to movement. 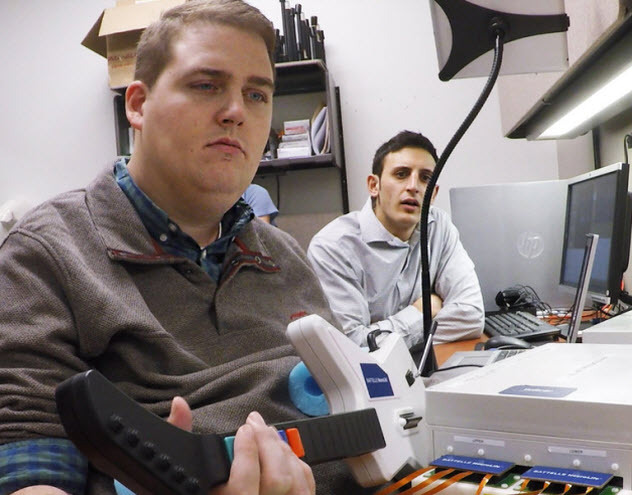 Though the device is far from perfect—he can only use it in the lab with the implant connected to a computer by a sleeve worn on his arm—he has been able to relearn tasks such as pouring from a bottle and has even been able to play a video game or two. In fact, Ian is the first to admit that he may never directly benefit from the tech. It’s more of a “proof of concept” to show that limbs that no longer have connections to the brain can be reconnected to the brain’s impulses through outside means. It is, however, quite likely that his submitting to brain surgery and undergoing thrice-weekly sessions for years will be of enormous help in advancing this technology for future generations. Although similar procedures have been used to partially restore motion in monkeys and to animate a robotic arm using human brain waves, this is the first example of successfully bridging the neural disconnect that causes paralysis in a human subject. Stents or grafts—polymer mesh tubes that are inserted surgically into arteries to alleviate blockage—are a necessary evil, being prone to complications over the lifetime of the patient and only moderately effective. The potential for complications particularly in young patients makes the results of a recent study involving bioabsorbable vascular grafts very promising. The procedure is called endogenous tissue restoration—and now for some plain English: In young patients born without some necessary connections in their hearts, doctors were able to create those connections using an advanced material that acts as a “scaffold,” allowing the body to replicate the structure with organic material with the implant then degrading. It was a limited study with only five young patients. Yet all five recovered with no complications. While this is not a new concept, the new material involved in the study (composed of “supramolecular bioabsorbable polymers, manufactured using a proprietary electrospinning process”) seems to represent a major step forward. Previous-generation stents composed of other polymers and even metallic alloys have yielded mixed results, leading to slow adoption of the treatment everywhere except North America. Another 3-D–printed polymer construct has the potential to revolutionize the treatment of some very debilitating injuries. A team of scientists from the Imperial College London and the University of Milano-Bicocca have created a material they call “bioglass”—a silica-polymer combination that has the tough, flexible properties of cartilage. These bioglass implants are like the stents from the previous entry but made from a completely different material for a totally different application. One proposed use of these implants is as a scaffolding to encourage natural regrowth of cartilage. But they also have self-healing properties, capable of rebonding upon contact if torn apart. Although the first tested application will be the replacement of a spinal disc, another, permanent version of the implant is in development to treat knee injuries and other injuries in areas where the cartilage will not regrow. The means of production—3-D printing—makes the implants much cheaper to produce and even more functional than the current leading edge implants of this type, which must typically be grown in a lab. Not to be outdone, Stanford chemist Cheng-Hui Li is hard at work on a material that could be the building block of an actual artificial muscle, one that may even be able to outperform our puny muscles. His compound—a suspiciously organic-sounding combination of silicon, nitrogen, oxygen, and carbon atoms—is able to stretch to over 40 times its length and then return to normal. It can also recover from holes poked in it within 72 hours and, of course, reattach itself if severed due to attraction caused by an iron “salt” in the compound. For now, it must be placed together to reattach itself in this way. The pieces don’t actually crawl toward each other. For now. Also, for the time being, the only weak spot of this prototype is its limited electrical conductivity, with the substance only increasing in length by 2 percent when exposed to an electrical field as opposed to the 40 percent achieved by real muscles. We expect this to be overcome in short order—and for Li, the bioglass cartilage scientists, and Dr. Wolverine from the earlier entries to be in contact with each other in even shorter order, if they are not already. The technique being pioneered by Doris Taylor, director of regenerative medicine at the Texas Heart Institute, is a slight departure from the above-discussed 3-D–printed biopolymers and the like. Dr. Taylor has demonstrated in animals—and is ready to try in humans—a technique using only organic material that may be even more science-fictional than any previous entry. In short, the heart of an animal—say, a pig—is soaked in a chemical bath that destroys and leeches away all of the cells except the protein. 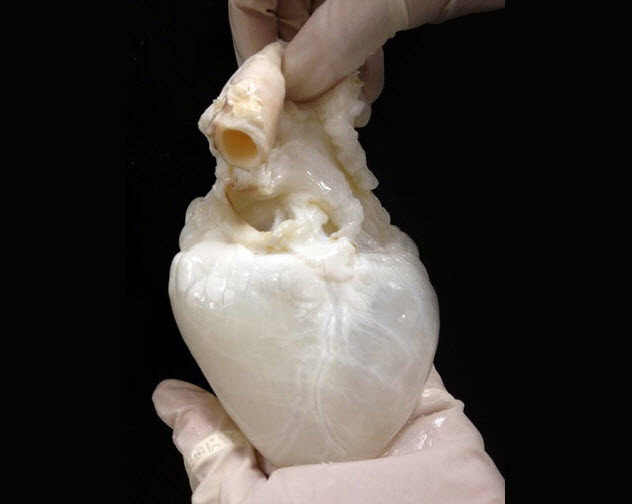 This remains as an empty “ghost heart” that can then be injected with the patient’s own stem cells. Once the necessary biological material is in place, the heart is connected to a device that amounts to an artificial circulatory system and lungs (a “bioreactor”) until it begins functioning as an organ and can be transplanted into the patient. Dr. Taylor has successfully demonstrated the technique on rats and pigs but not yet a human patient. It’s a similar technique that has had some success with less complex organs such as bladders and tracheae. Dr. Taylor is the first to admit that perfecting the process—and being able to supply a steady stream of engineered hearts, eliminating the transplant waiting list altogether—is a long way off. However, it has been pointed out that even if the effort were to fail, it will undoubtedly have the benefit of leading to a much greater understanding of the construction of the heart and improving the treatment of heart maladies. Finally, we have a cutting-edge technology with the potential to quickly, simply, and completely wire the brain with one injection. 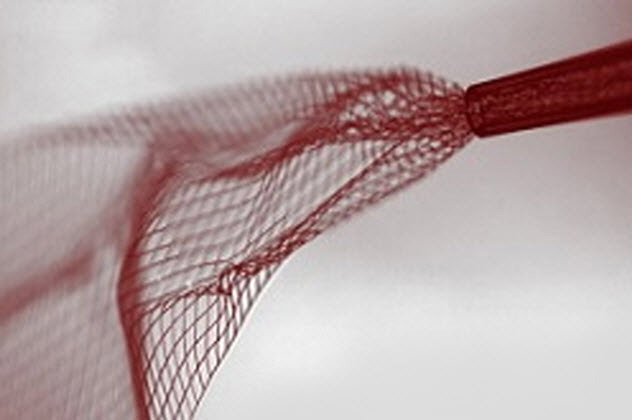 Researchers from Harvard University have developed an electrically conductive polymer mesh that is literally injected into the brain where it infiltrates the nooks and crannies, melding with actual brain tissue. Thus far consisting of only 16 electrical elements, the mesh was implanted into the brains of two mice for five weeks without immune rejection. Researchers predict that a larger-scale device composed of hundreds of such elements could actively monitor the brain down to the individual neuron in the near future, with other potential applications including the treatment of neurological disorders such as Parkinson’s disease and stroke. Eventually, this could also lead scientists to a better understanding of higher cognitive function, emotions, and other functions of the brain that currently remain murky. Such bridging of the gap between neurological and physical science could very well power many of the advances of the even further future and also—along with many of the previous entries on this list—lead to superheroes.